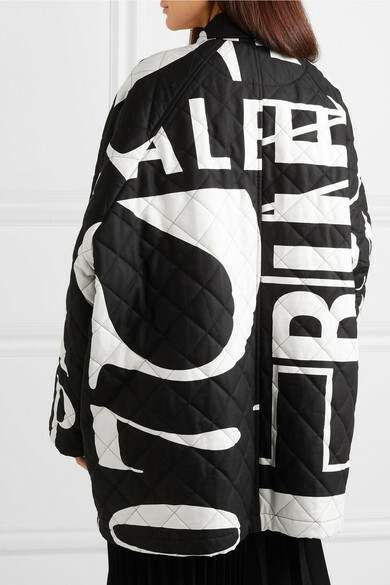 Demna Gvasalia has come up with one of the most abstract takes on logomania we've seen – this jacket is printed with huge letters that comprise the words 'Balenciaga Paris'. 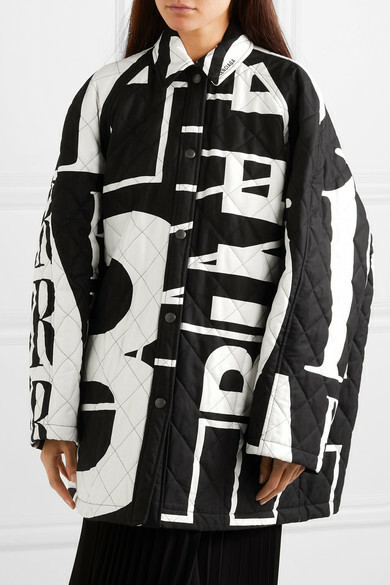 Cut for a cocooning oversized fit from quilted cotton-poplin, it has a sharp embroidered collar and raglan sleeves. 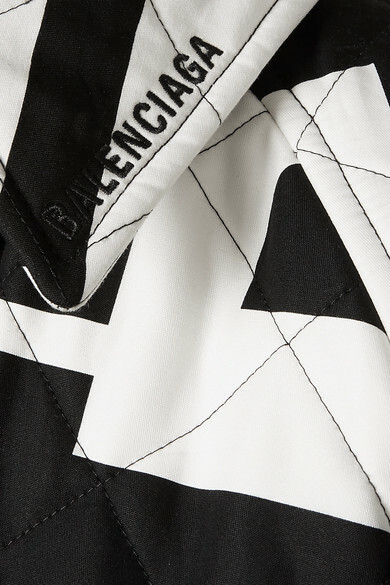 Slip it on over one of the house's patchwork dresses. 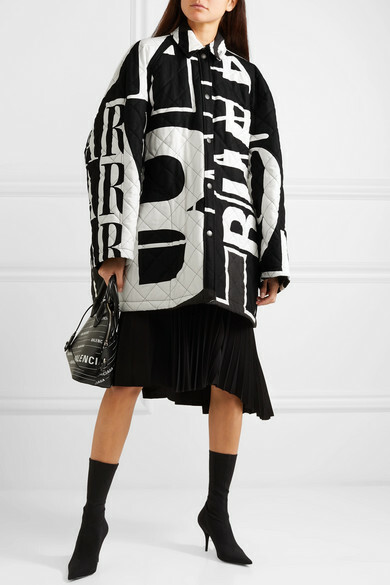 Shown here with: Balenciaga Skirt, Balenciaga Top, Balenciaga Tote, Balenciaga Ankle boots.